16g of food for how much??? Technically, 9.6 gr of seaweed. The rest is additives. But seaweed is nice. Jon jons and Chiseller like this. Jon jons and Balagan like this. tom, dovidola, Bopdude and 7 others like this. Diddi, Teepee, Bopdude and 1 other person like this. Got isn't our bag ... Never managed more than one episode. Alpkit Definition jacket, red. The DWR on my ancient Jack Wolfskin 2.5 jacket died some while back and attempts to revive it a little with Nikwax products produced only half hearted results. Still it was a decent jacket for light drizzle in its prime. The definition seems a good compromise between what I'd like in a perfect world and what I can afford in the real world. Plus Alpkit have a shop local to me. 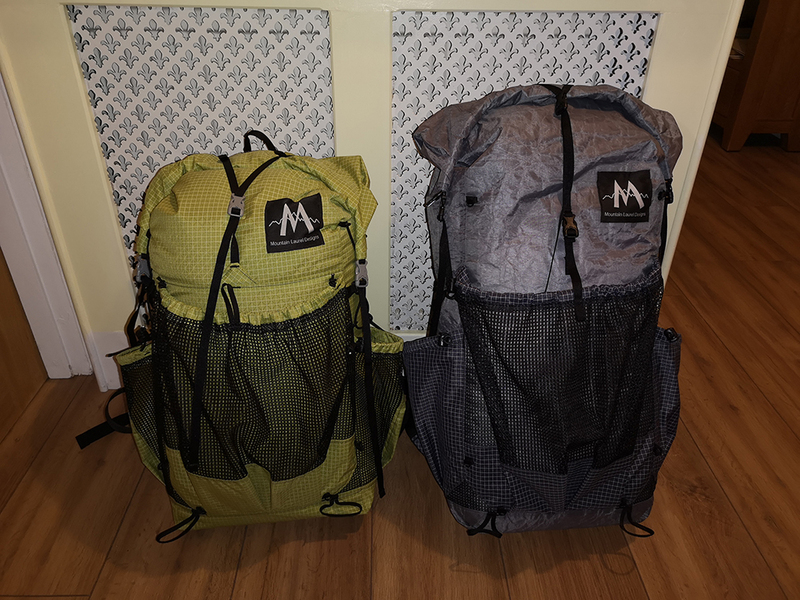 I've been watching MWIS and it looks like I'll be doing a short walk in Wales this Monday so that should give me a chance to see how it performs. Also an Apkit titanium mug. Well, it was reduced in their sale. Together they've brought my base weight for the walk down by almost 100g. Still far from qualifying as a light weight backpacker though. fluffkitten and MartinK9 like this. Salomon x ultra gtx boots; my old boots were older than I care to admit and have been retired. Chiseller, Bopdude and Dave V like this. Taz38, Diddi, Henry and 1 other person like this. Did you go for the solid or mesh inner @Diddi? I take it you're not a trekking pole user, hence the (rather heavy at 295g and only adjustable in increments?) Luxe pole. 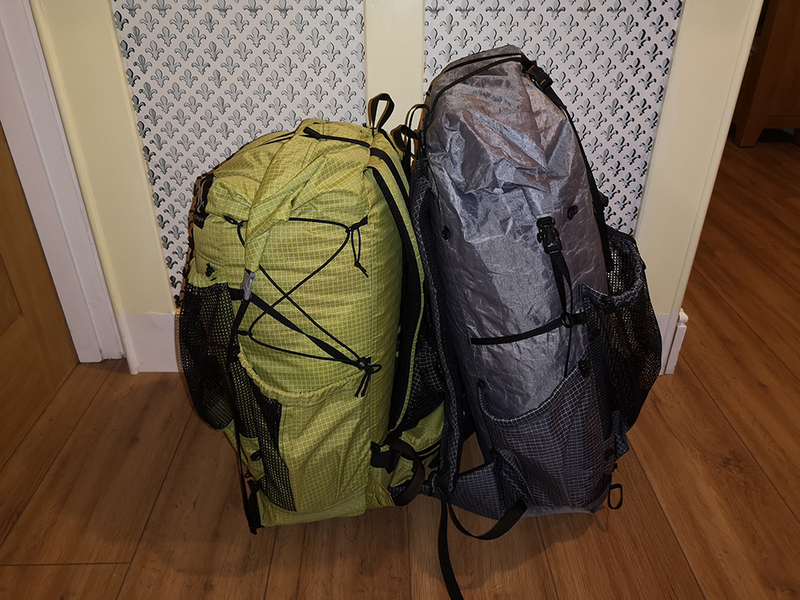 I'd still go for a suitable trekking pole, because apart from the obvious dual use advantages, and the lighter weight, if things go a bit slack in the night all it takes is a quick tweak (f'nar f'nar) of the trekking pole's flicklock from inside the tent to get everything nicely taut again. Either way, welcome to the Hexpeak Club! And i will have to catchup on all the mods and tweaks for the Hexpeak. Can't see me ever going down the trekking pole route but how heavy are a good pair? That's the solid inner. I have the same one, plus the all mesh (apart from the bottom!) version. 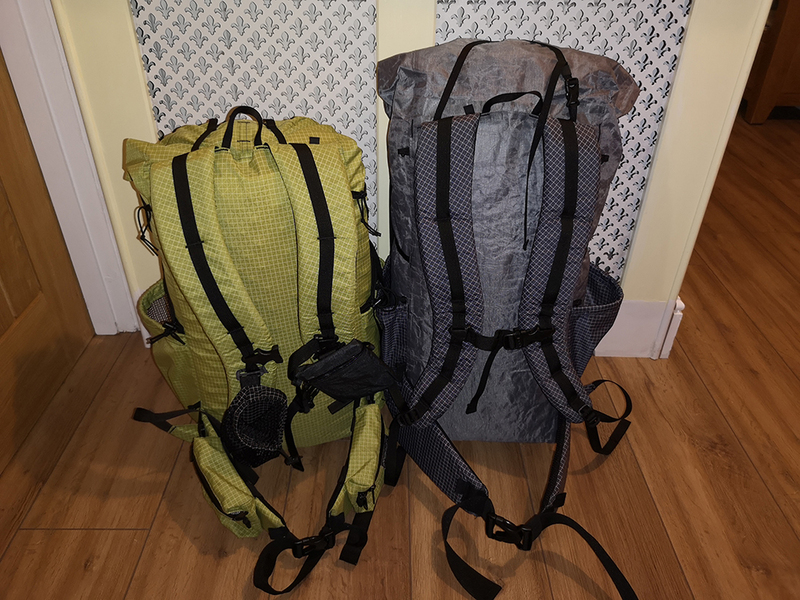 Both fine, but not being made specifically for the Hexpeak you're not getting maximum use of the (half) internal space, and if 3F UL can be persuaded to do a run of optimally-sized inners it would be perfect. However, the 240g weight saving over the Luxe inner still makes it a worthwhile tradeoff imo. Jon jons and Diddi like this. I think the pole is a good weight considering two poles weight as i cant ever see me using them, and probably a lot cheaper . Outer should be here tomorrow but the inner won't be here until around 5th to 20th April ...fingers crossed for sooner. dovidola and Jon jons like this. tom, Chiseller, cathyjc and 1 other person like this. 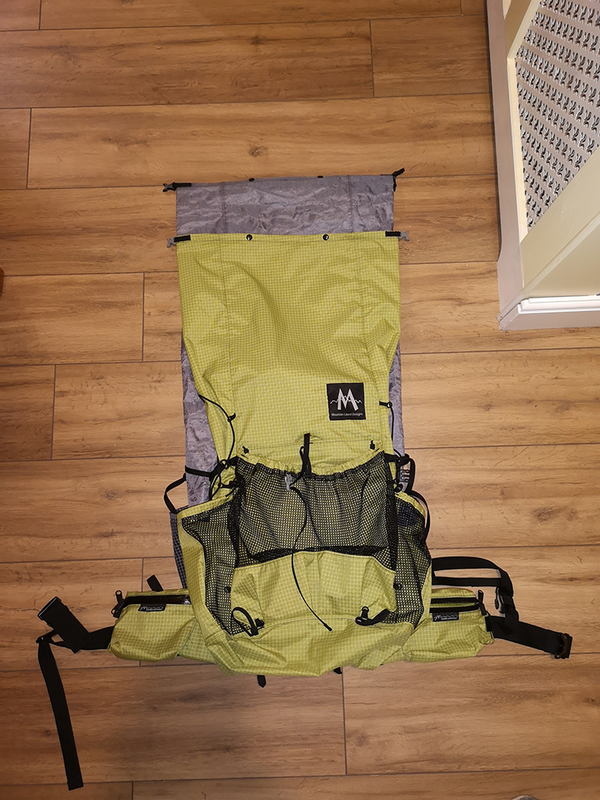 @Diddi I bought the hexpeak outer and the ali inner but hated the inner (still got it somewhere). I found it very claustrophobic, so bought the hexpeak inner. I liked that one better for the space you get (enough space for the dog too) but found I prefer the door on the other side (like on the ali inner - j zip). Sold the tent last year, still miss it occasionally, you'll like it. I have wanted one for a long time but having been out of the loop for a few years couldn't justify one till now. Am hoping to get a 2p inner too but see how i get on with it first. FOX160 and Shewie like this. Six weeks and two days after ordering it, my DCF Exodus has arrived. Lead times when I ordered were 6-8 weeks so I am pretty happy with that. First impressions are very good. All seam taped and the construction is spot on. Weight wise, with the sternum strap it weighs 482g, this will change a little once I have added belt pockets and removed anything I don't want. With the Exodus being stiffer, it packs well and keeps the form slightly nicer than the Prophet. The straps on both are the same size but the Exodus foam feels thicker. The Exodus hip belt is also 1.5" longer. Chiseller, Arne L., FOX160 and 12 others like this. Petzl bindi - can't have too many headtorches! Chiseller, FOX160 and Dave V like this. Fenix HM50R - getting a bit more serious about my headtorch! Dave V, WilliamC, Arne L. and 1 other person like this. Dave V, Arne L., fluffkitten and 3 others like this.